Prolific grower that is great for eating fresh and canning. A standard for beets since 1892. 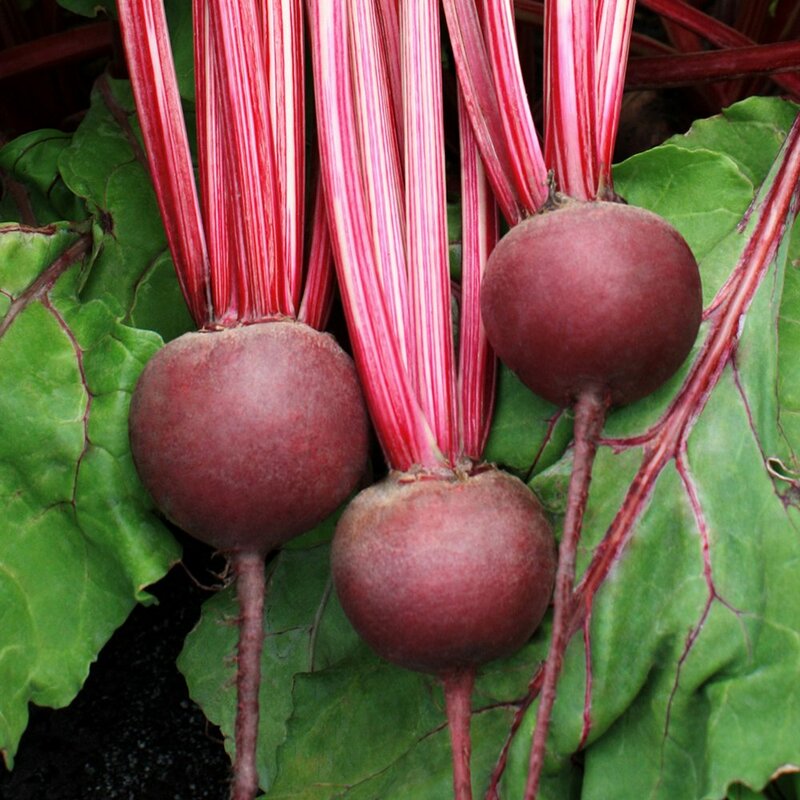 All our 'Detroit Dark Red' Red Beet Plants are organically grown and shipped in fine quality growing medium. They are guaranteed to arrive alive and ready to plant. Comment: The plants came in VERY HEALTHY condition & Excellent Packaging!! Now, I hope my Green Thumb Works!!! Comment: Not sure why the local post office wouldn't deliver them on time. Comment: This was my first time ordering plants online so I did not know what to expect. The Detroit Dark Red Heirloom Beet plants I ordered came in a separate shipment about 1 week after the bulk of my order. The company contacted me first to notify me that the plants weren't quite ready. I appreciate that they didn't send them too soon and decrease their chance of survival. So far everything is doing very well! Will definitely be a repeat customer! Comment: The Detroit Dark Red Beets shipped quickly and arrived in great condition, on time, and easy to track online! Comment: I was impressed with how fast my order arrived! Not to mention, each plant was healthy and packaged well. "Detroit Dark Red Heirloom Beets"
Comment: These Red Beet plants were packed well. They were healthy and ready for planting. I will be ordering from GrowJoy again. Comment: My Detroit Dark Red Beet plants are still perky and thriving quite well since I planted them one and a half weeks ago. Comment: The description says that there are 3-4 plants per pot. I received 1 with 4 strong plants. The rest had over 20! I teased them apart gently and planted them about 5 days ago. They all bounced back and look fantastic. I am looking forward to a bumper fall weather crop.